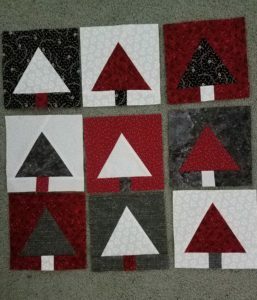 Here are nine Red Forest Blocks for July’s drawing. Completed this week-end in between other week-end projects. Fun and easy to make.